We are a nation of pet lovers! It’s not all too surprising that we want what’s best for the wide variety of different animals that we choose to keep and who provide us with unconditional love and companionship! So, here are a couple of different ways that you can accommodate for two different pets that you might have taken in as a part of your family. Let’s start with a relatively large and difficult pet to accommodate for - a horse. If you have a horse, chances are that you have already done your research and are well aware that accommodation for this species of pet is neither small nor necessarily cheap. However, if you have gone ahead and taken on the responsibility of a horse anyway, you’re more than likely happy to provide for your equine friend. Seeing as a horse cannot live comfortably within a human home (and cannot really be housetrained so probably wouldn’t be welcome indoors anyway), you are going to have to invest in a stable. You may also want to consider more portable options, such as field shelters, for situations in which parts of your land flood in the rainy season or are too exposed to the sun in the dry and warmer seasons. This will ensure that your horse is comfortable throughout the year! 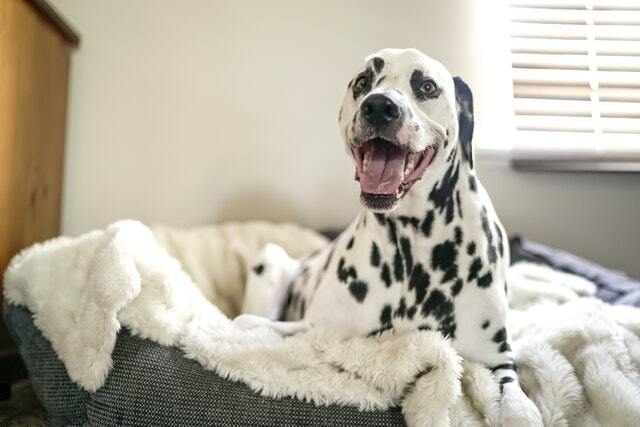 Dogs are a more common household pet than horses and, admittedly, require a little less specific care when it comes to housing them safely and comfortably. After all, they are more likely than not living within your own home, which is likely to already be warm and secure for your own comfort. But there are a few additional bits and bobs that you can invest in to make your canine companion that touch more comfortable. Dogs tend to sleep a lot more than humans do, with the average canine requiring between twelve and fourteen hours’ worth of shut eye on a daily basis. So, you should browse a variety of different dog beds where they can rest their weary head throughout both the day and night. The type of bed that you should choose will largely fall down to your pooch as an individual. Larger breeds, of course, will need larger beds. Smaller breeds are generally content with a smaller bed. Measure your dog and measure the bed to ensure that they won’t be cramped up in it. The next factor will be shape, material, and filling. Most pooches aren’t fussy and will be just as happy on a large dog bed cushion as a doughnut or bolster bed. You will get to know your own pup’s preferences as time goes by! These are just two different types of pets and a couple of different ways that you can accommodate for their accommodation needs. There are, of course, plenty of different species out there that you might care for! What’s most important is that when you take on any pet, no matter how large or small, and no matter how seemingly intelligent or unintelligent they may be, you cater to their every need. They are reliant on you and it is your responsibility to care for them adequately!